Oh heck yes!!! 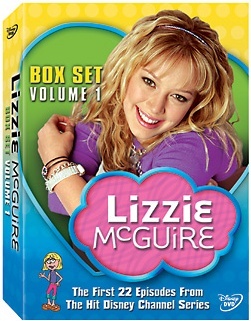 I ADORE the Lizzie McGuire show. I can’t wait to bust this out on a Saturday and have a marathon! Also, I only paid $3.71 for it! Then yesterday I went to the library book sale while I was home visiting my parents. It was pretty convenient because they live across the street from the library. I wasn’t expecting much because I had been to one of their other sales and was not all that impressed. I literally squealed out loud and embarrassed my sister when I saw this hiding among the videos. OMG!!! 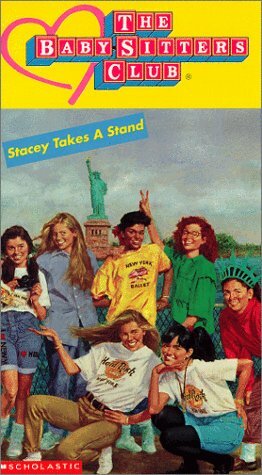 My personal quest in life is to accumulate all of the original Baby-Sitters Club videos. 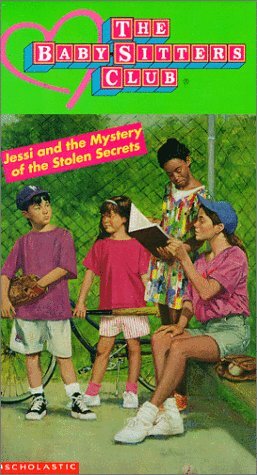 I used to watch them all the time when I was little, but only the ones that my hometown library had….and I don’t think I have ever seen “Jessi and the Mystery of the Stolen Secrets!” I have no doubt that this will change my life…I haven’t watched it yet because my parents don’t have a VCR. So, who’s up for a marathon. Now, just because I can, here are the opening credits from one of the shows to bring back fond memories for all of you (and get that song stuck in your head). I don’t know about everyone else, but the past two days have been really terrible weather-wise in my neck of the woods. It has been cold and windy and miserable. Every other person who came into the library described it as “blustery.” What a funny word….I think it has been years since I have heard someone actually use that word. Whenever I hear it, my mind automatically jumps to Winnie the Pooh and the Blustery Day. If you would like to know what my afternoon was like, trying to run my errands, just picture me as Piglet in this next video. Aaaaaahhhhh, Piglet……so adorable! Totally made my exhausting day so much better! Inspired by Amber’s post, I am embracing my own lack of coolness and turning it into unique awesomeness. I am also the type of person who hides out in corners and smiles silently (except when hanging out with awesome nerdgirls – thank goodness for them!) Here’s tonight’s evidence of why I’m a nerd and don’t fit in the cool kids (and am ok with that). Tonight I’ve discovered more of Michael Buble’s music, which I enjoy – possibly because sometimes I’m a 45-year-old woman (other times I’m 12 or 83, but that’s another story). The one I’m currently in love with is called “At This Moment” and it’s a cover of an ’80’s song. The song reminds me of my childhood, and I think it’s because I associate it with Time Life Music infomercials – WHICH I LOVE!